"Are we really not good enough for the big world?" 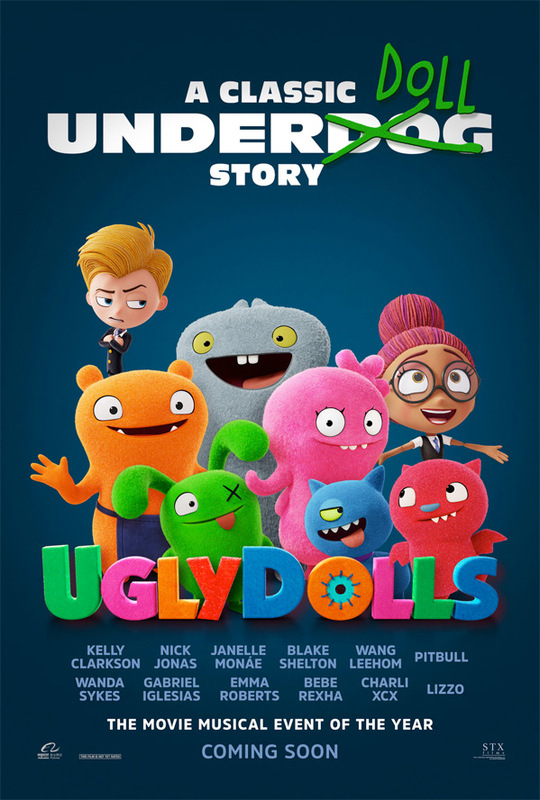 STX Entertainment has debuted the full-length, second trailer for the animated UglyDolls movie, in theaters at the beginning of this summer. This is based on the beloved-worldwide little weirdo plush dolls, first created by David Horvath and Sun-Min Kim in 2001. This is STX's first animated "family" project, co-produced by Robert Rodriguez's Troublemaker Studios. 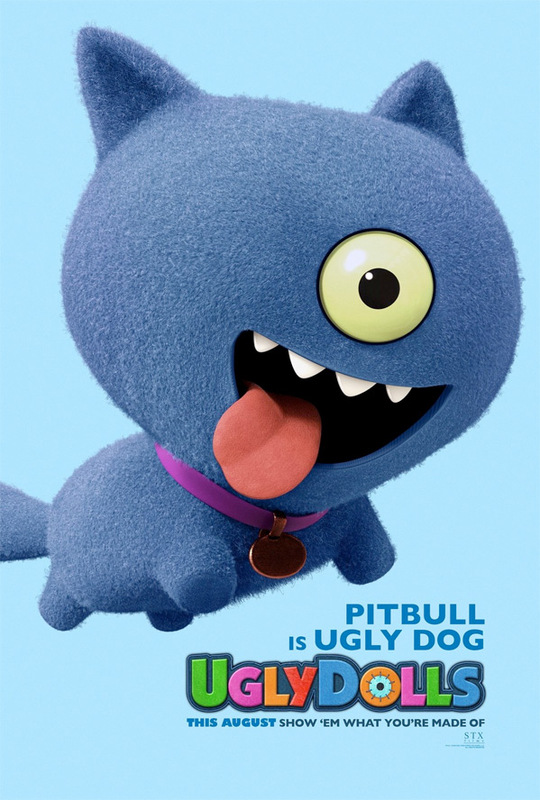 STX's UglyDolls is an animated musical adventure starring the acting & singing voices of Kelly Clarkson, Nick Jonas, Janelle Monáe, Blake Shelton, and Pitbull. The main plot follows a group of UglyDolls who "confront what it means to be different, struggle with their desire to be loved, and ultimately discover that you don’t have to be perfect to be amazing." The voice cast also features Wanda Sykes, Emma Roberts, Gabriel Iglesias, and Wang Leehom. This looks wacky and really dumb, but it has a good heart, which is what really matters. Right? I like the way they make fun of the perfect people - bold choice but I'm all for it. You can also catch the first teaser trailer for Asbury's UglyDolls here, to rewatch the original introduction.